WE ROCK SO YOU CAN CHILL! 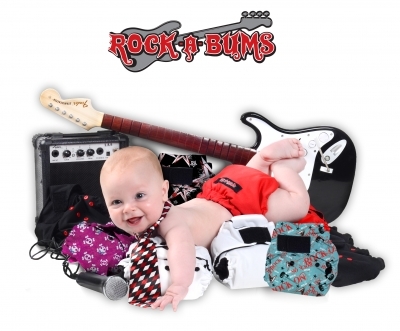 When Sarah, inventor of ROCKABUMS Cloth Diapers wanted to save money on diapers for her 3 kids, she couldn't find any choices that were EASY, CUTE, and would work in many different situations! For the mama who want to help the environment... great for all stages! Design is cute and different packaging is easy to understand what all it includes. Everything you need in one package, with simple, easy to follow instructions!